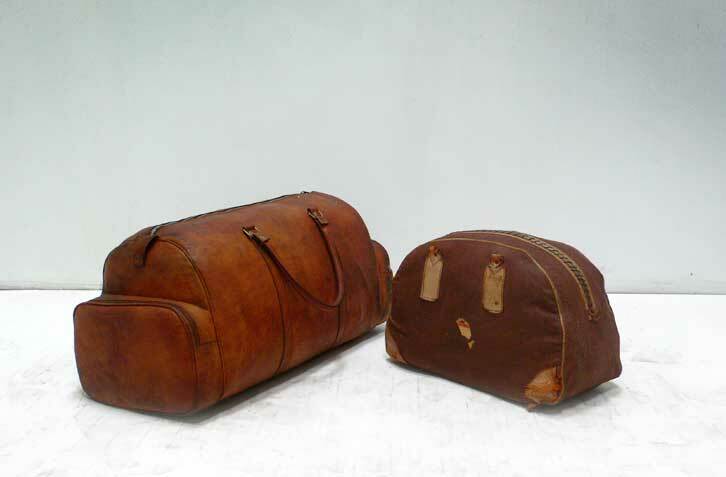 Two vintage duffle bags. Hand stitched closure with high resiliency foam interior. By Jason Koharik.